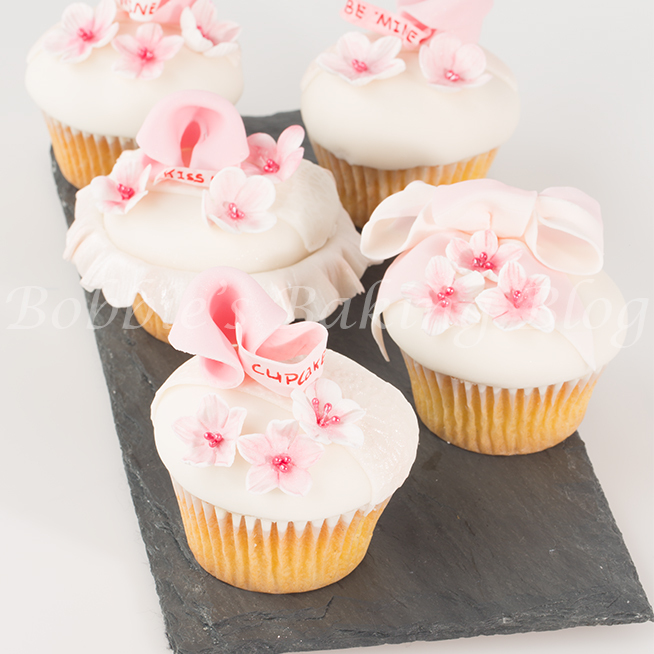 Who could resist a cherry blossom fortune cookie? 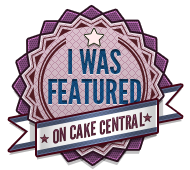 I was asked to review New York Baking company’s silicone baking buddies. New york’s Baking Company was kind enough to send their very bright silicone cups in exchange for my honest opinion of the baking buddies. 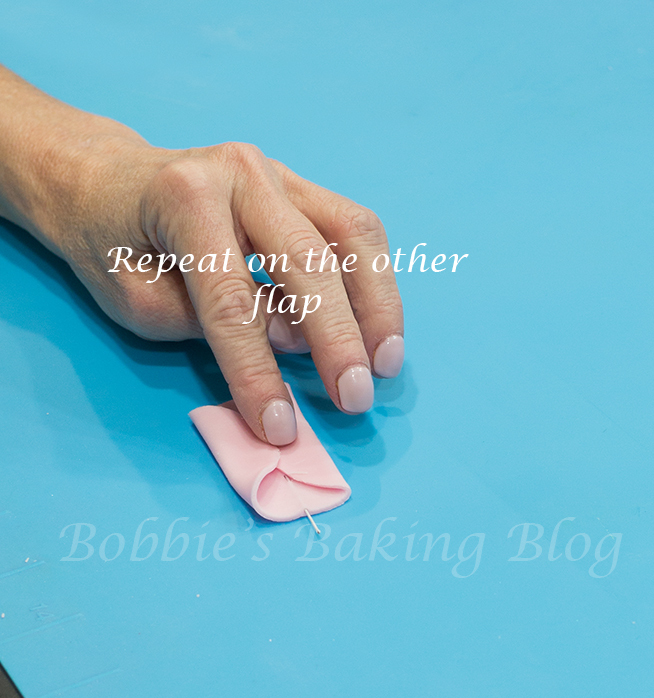 I have baked 3 batches of cupcakes using the silicone cups, I found the cups released with ease and handled the heat of my oven, however if you are planning to give/and or sell your cupcakes you need to use cupcake liners. 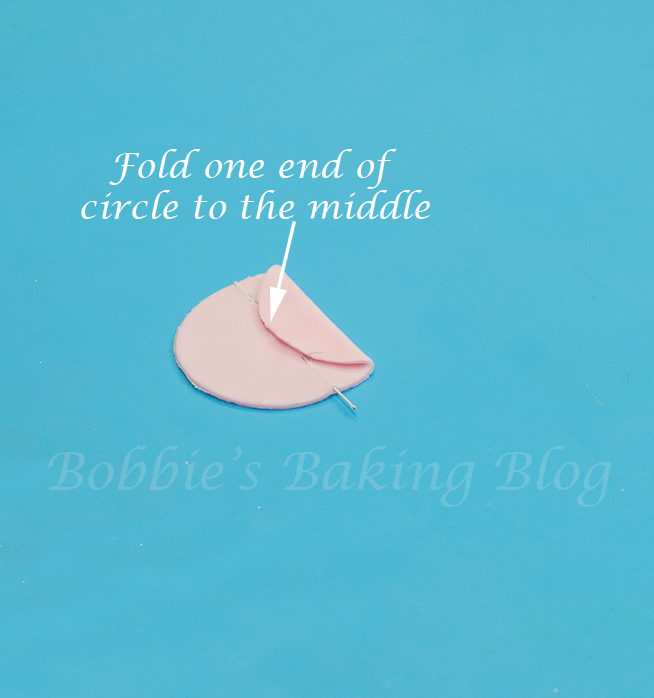 The baking buddies are guaranteed for life; unless you want give away the silicone cups. The cups would be great for chocolate caramel cups, jello shots, and almost anything you could think of. 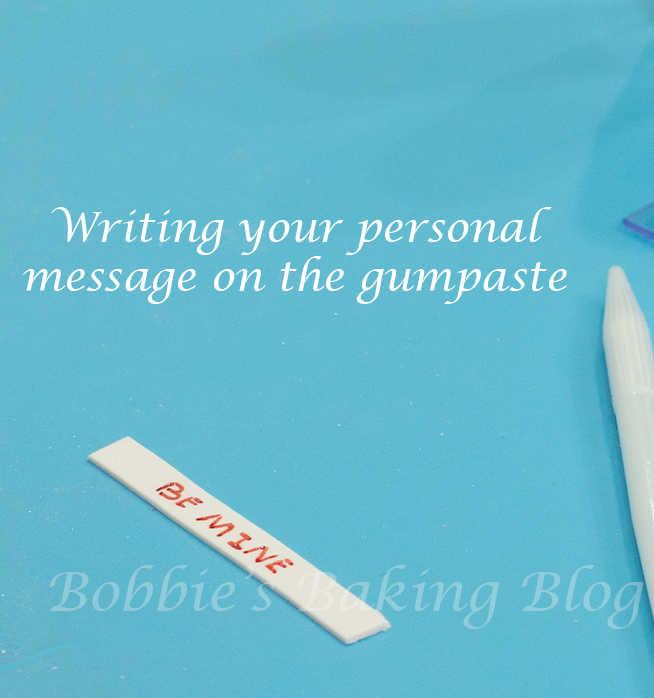 A wonderful bonus is the easy clean-up, even the caramel cups! 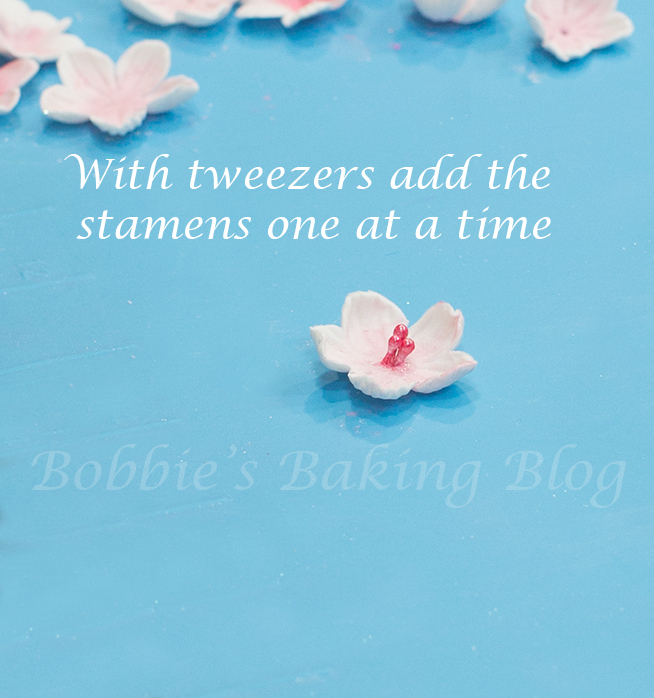 Although cherry blossoms are not in bloom yet I couldn’t resist using my new baking buddies for cherry blossom cupcakes with flowerpaste cherry blossoms and fondant fortune cookies for good luck. In March, the cherry blossoms bloom along the Tidal Basin in D.C. The beauty and the intoxicating aromatic splendor has made the tidal basin a favorite between residence and tourists alike. Sydney has never missed the blooms of the wonderful cherry blossoms that line against the water. 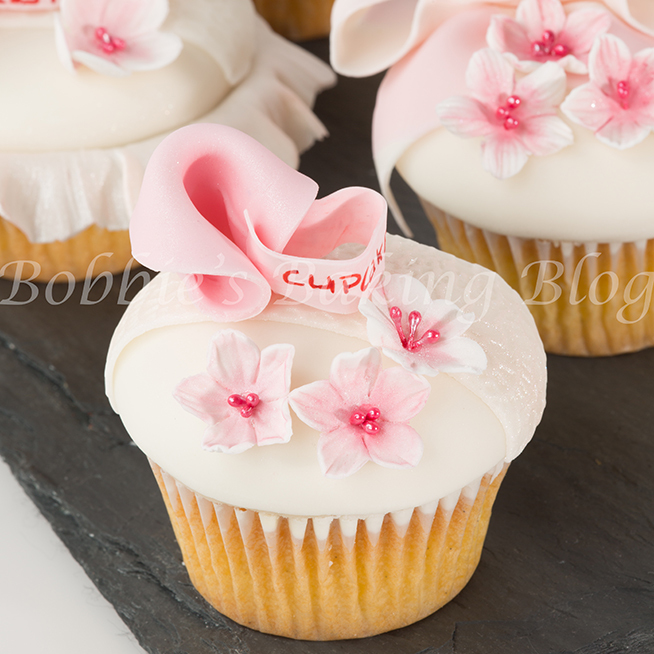 Cherry Blossom cupcake recipe; sometime I add a the seeds to a vanilla bean! Add multi colour bow or frill skirt for added designs! 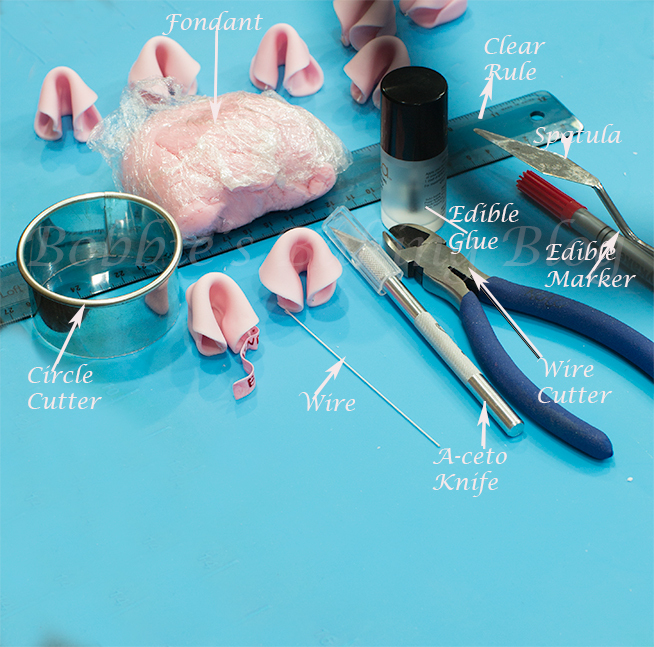 Find supplies and cherry blossom extract. 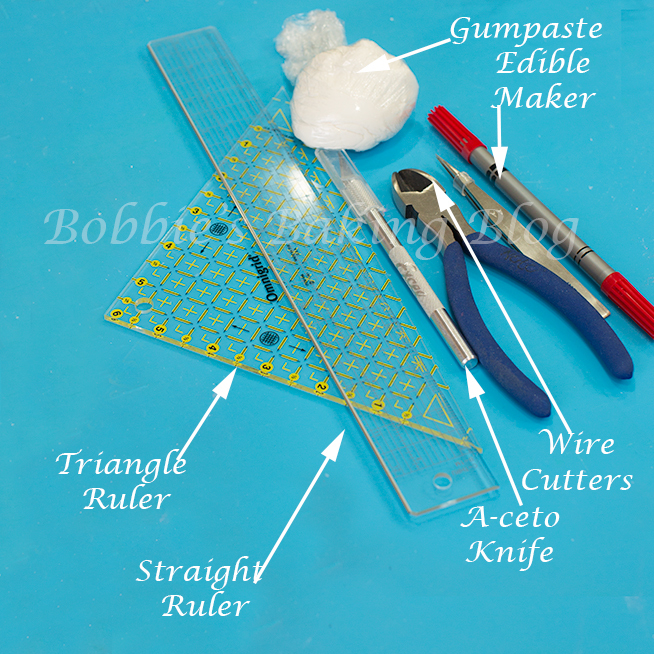 We find it works best to create the embellishments prior to baking the cupcakes or cake. 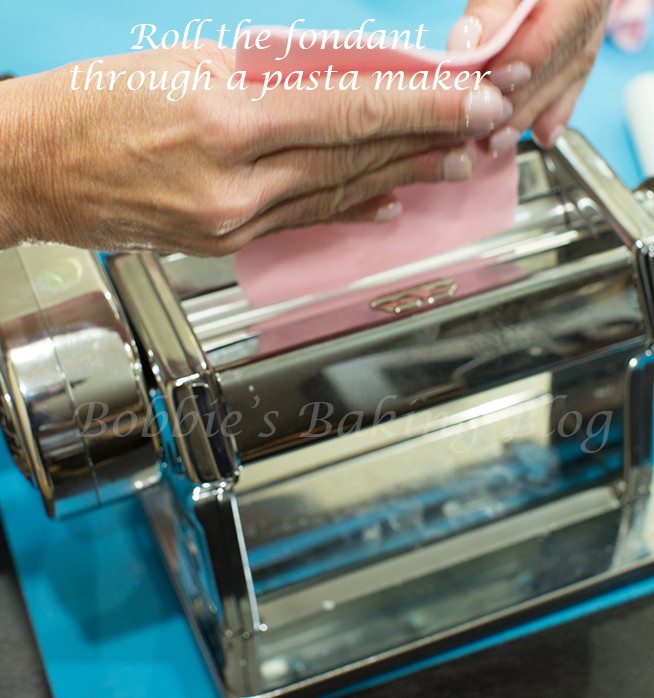 Knead your fondant, add your color of choice and knead until amalgamated, roll the fondant thin enough to fit in the pasta machine (if you do not a pasta machine roll the fondant by hand until the fondant is 1.59mm or 1/16-inch). Cut 24 circles, 12 at a time. 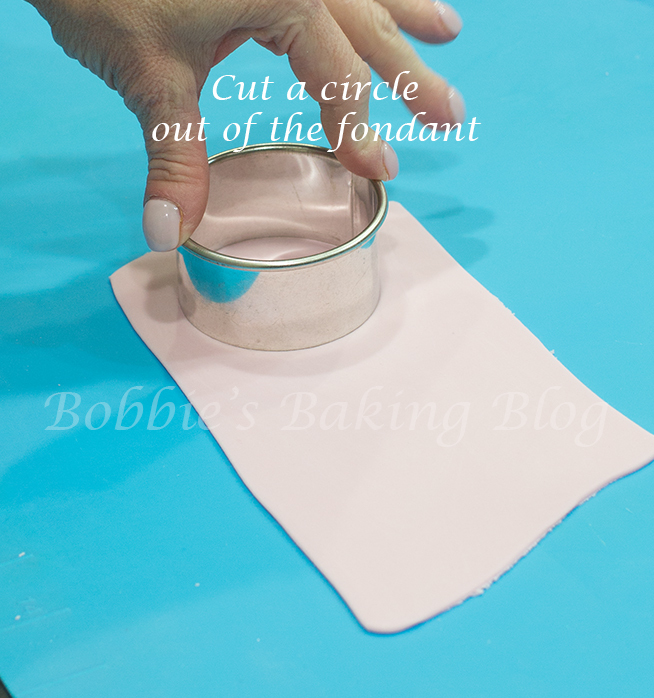 Once your circles are ready cut a piece of 24 gauge wire the diameter of the circle, thread the wire through the centre of circle, with wire facing you fold the top half to the middle, glue the flap down loosely , and repeat the same process on the other flap. 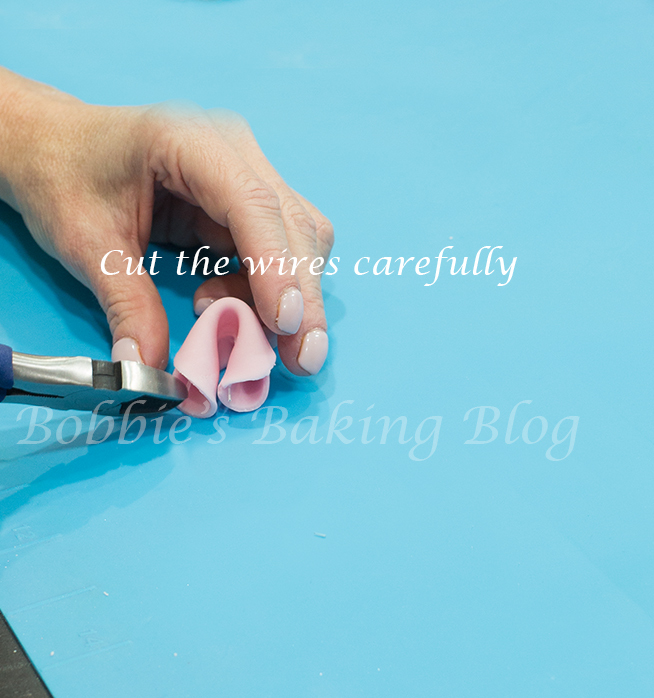 Turn the rectangle (that was once the circle) over so the flaps are facing the mat, lift the rectangle in one hand, place your thumb in centre, push gently as you bring the two wire sided toward the middle, and carefully cut the excess wire. We choose to use petal lustre to add a pop, but this optional. 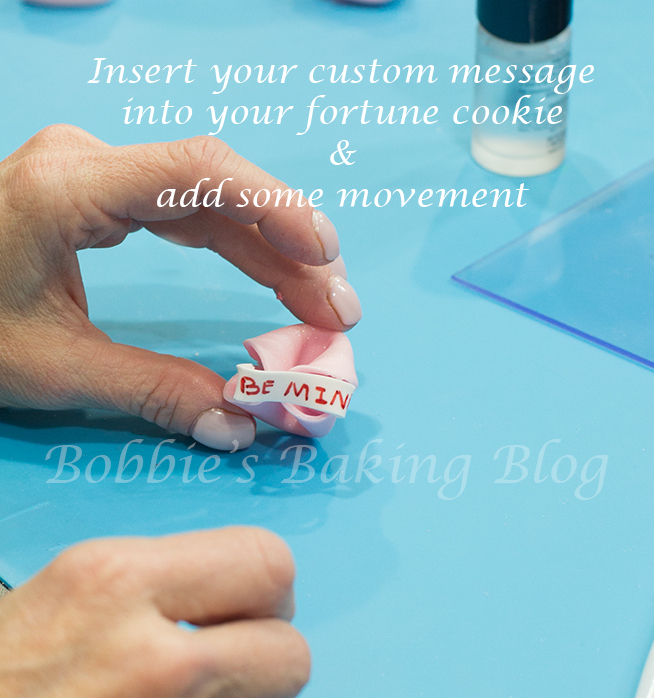 Allow the fortune cookie to dry before inserting the message. 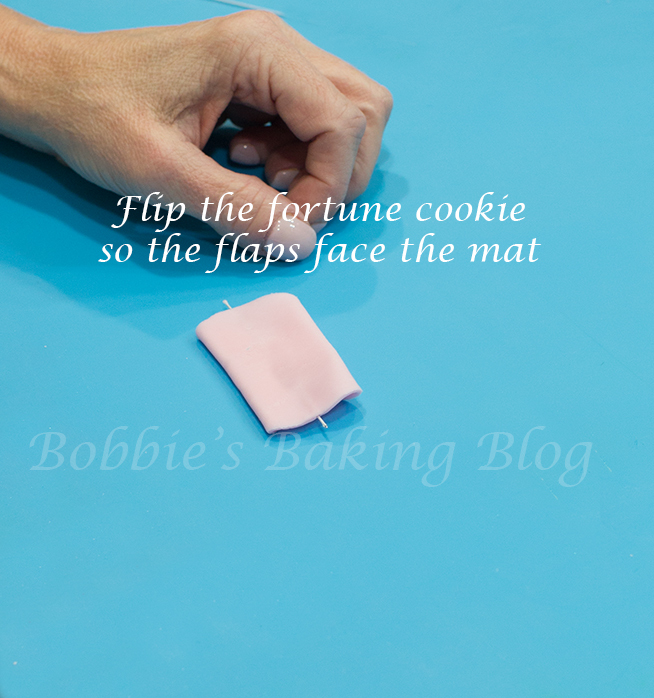 Place movement, bend in fortune cookie the paste and allow to dry. 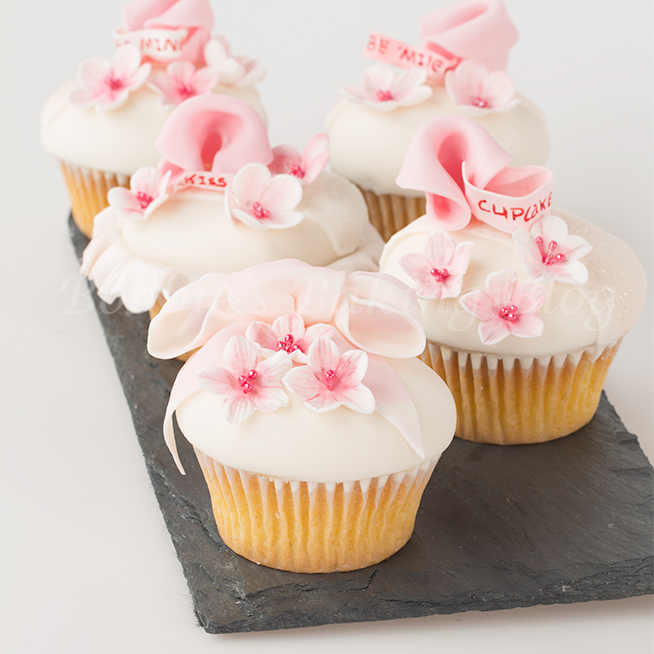 The cherry blossom flavor is delectable! 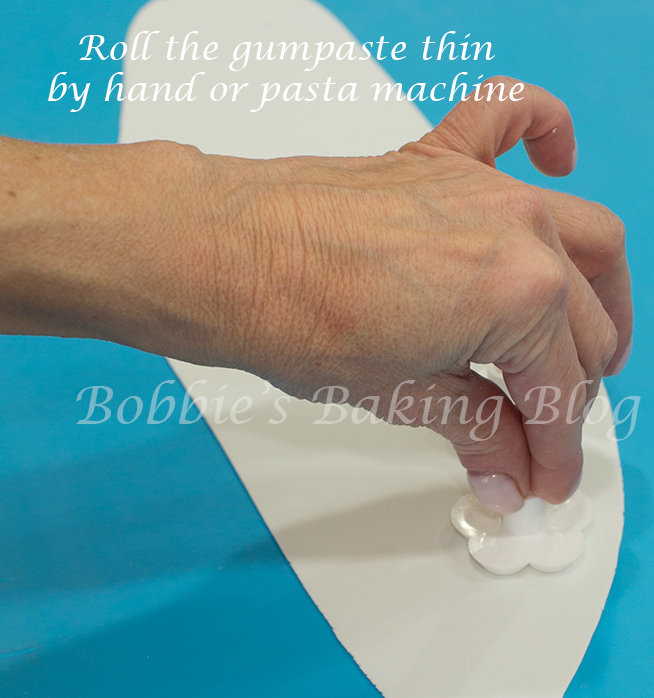 Knead white gumpaste, Roll gumpaste to 3mm/ 1/8-thick; either place the gumpaste in a pasta machine or until to roll by hand until the gumpaste is see through and thin. 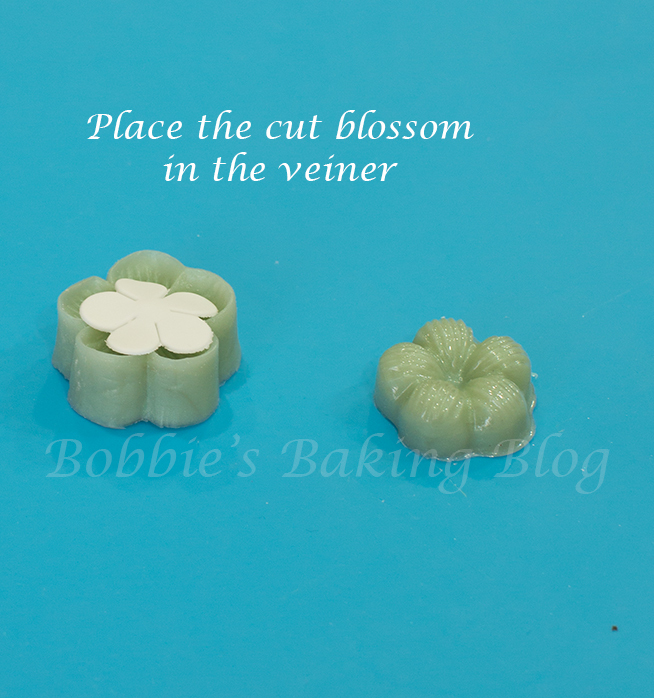 Sprinkle your mat with a little cornstarch(it is important the gumpaste is mobile) using you OP cherry blossom cutter cut out various sizes of cherry blossoms, lift the blossom with a triangle spatula, place in the double sided veiner, close, and vein. 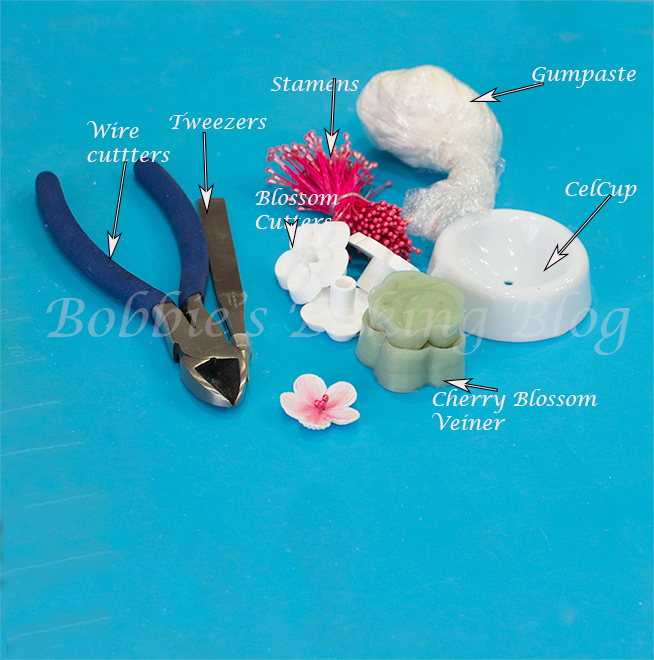 If you cannot find or do not have a cherry blossom veiner use a textured celstick or cocktail stick and without frilling ad textured lines. 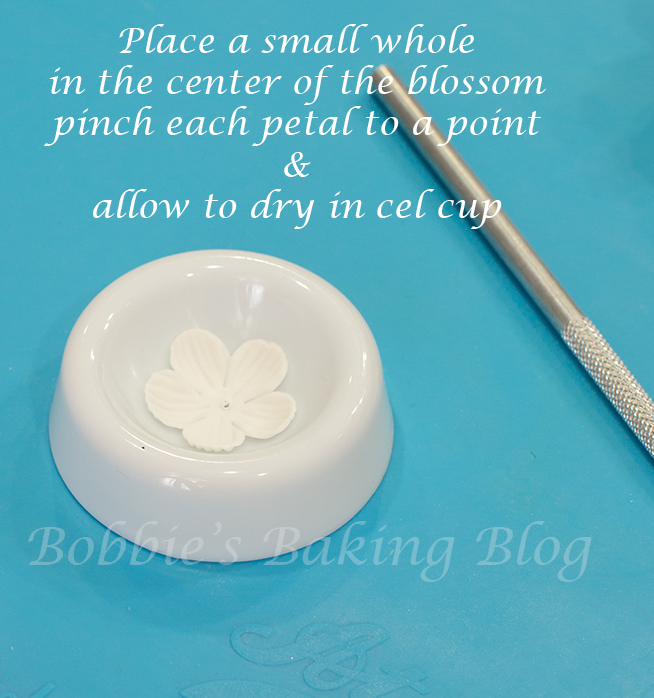 Pinch the petals, place the blossom in celcup or use an egg crate with viva paper towel to add movement, and place a small whole in the centre. Allow to dry and petal dust. 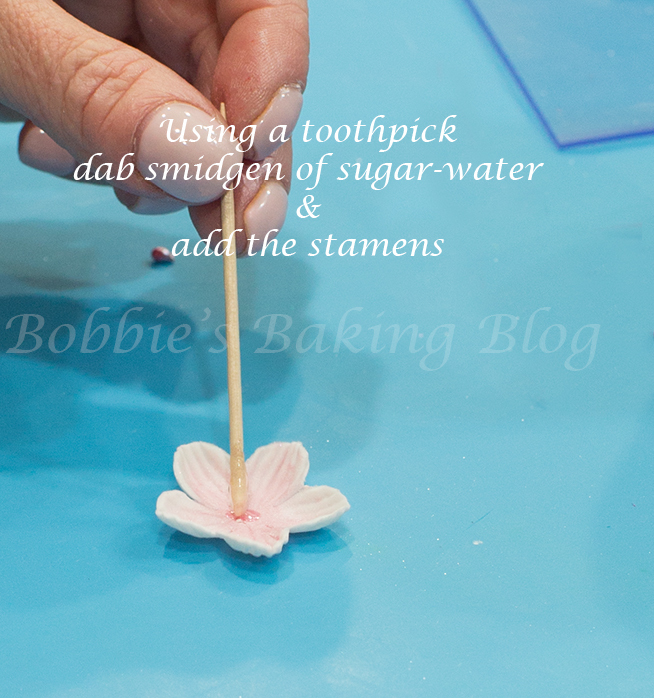 Using a tooth pick to dab a tiny amount of sugar-water to the centre of the blossom and using your tweezers add one stamen at a time. 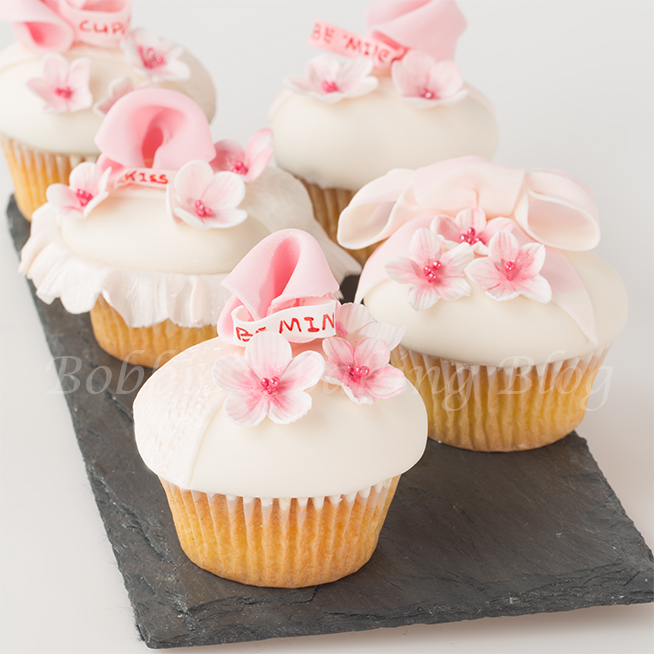 Cherry blossom fortune cupcakes are not just adorable they taste amazing. Holy cow, your talent leaves me gobsmacked every time I visit. These are *almost* too beautiful to eat. Bobby thanking you for sharing all of your knowledge with us. I really enjoy your blog. 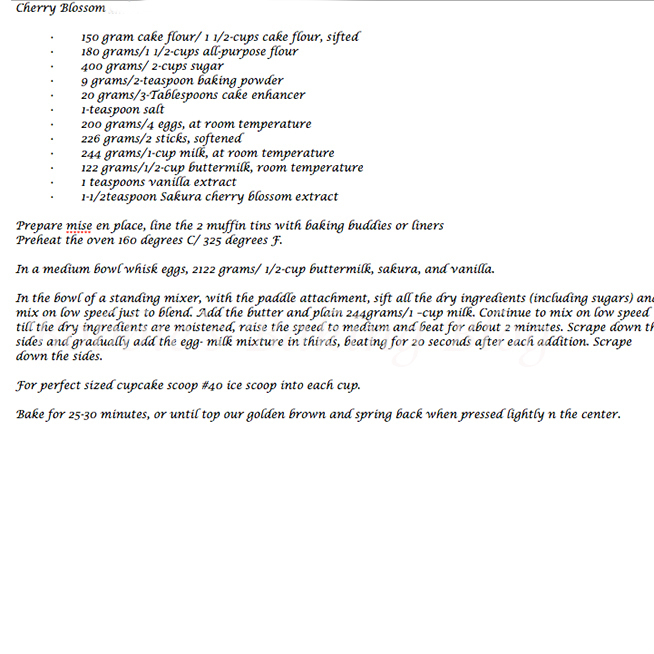 I was just wondering in your recipe for cherry blossom recipe you said to add 3 tablespoon of cake enhancer. I was just wondering it is cake enhancer. Thank you for taking the time to read my post and answering my question. Thank you Linda. Hi Linda, cake enchanter is optional, I buy it at King Arthur. The enhance act as emulsifiers, allowing fats and liquids to combine more easily. They also serve as stabilizers and texture enhancers. I love it! 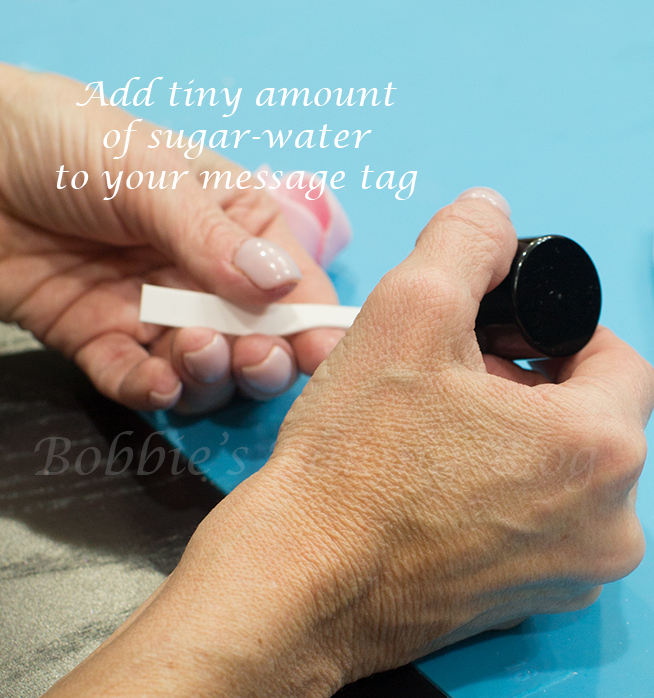 Maureen, you are to sweet, I am glad you enjoyed the tutorial! I like yout designs. So beautiful !